A great complexion isn’t just about what you put on the outside, but what you put on the inside, says top facialist ABIGAIL JAMES, whose clients include Rita Ora and Chloe and Poppy Delevingne. The skin is our outer protective layer; it takes a battering on our behalf, protecting everything inside the body. Yet it is also our largest sensory organ and an emotional messenger – it’s where our hair stands on end when we’re frightened, where our blushes confess our embarrassment. The mind-skin link is what experts call psycho-dermatology, and it’s this that explains why skin conditions such as acne, psoriasis and eczema are often triggered by stress. These visible conditions often dent our self-confidence and, in turn, our stress levels soar even higher – a damaging vicious cycle. Stress reduces our skin’s ability to heal by around 40 per cent, so any spots you develop then take longer to disappear. I’ve seen hundreds of clients with many different skin issues, yet the ones with the most problematic complexions are those living with the most stress. When we’re stressed our bodies release hormones, which increase oil production in the skin. The more stressed we are, the more insulin we produce, which triggers the production of androgens, leading to blocked pores and spots. Stress also redirects blood to the brain and muscles, which is where the body feels blood is most needed in order to survive a threatening situation. The skin then begins to lack the nutrients and oxygen supply it needs to heal spots. Meditate Just a few minutes a day can help ease anxiety. Come up with your own positive mantra – anything that expresses how you want to feel – or just focus on breathing in and out. Breathe from your belly It will help you feel calmer and encourage more oxygen to flow around the body, benefiting your complexion. Laughing releases happy hormones, which makes the body feel more relaxed. Cut out stimulants Try to consume coffee, wine and chocolate in moderation. Have a massage It eases muscle tension and stimulates nerve endings within the skin to send ‘relax’ messages to the brain. Take some me-time Go for a walk, see friends, have a bath, sit in the park or do a yoga class. Do one healthy thing each day Take the stairs; switch your morning coffee for a green tea; change your pasta for brown rice or quinoa. Each choice keeps you motivated to make more healthy decisions. Purification of the skin leading to a clearer complexion. Regeneration of skin cells. The production of collagen and elastin increases thanks to peak growth hormone secretion at the start of the night. Micro-circulation: sleep between the hours of 11pm and 4am delivers more oxygen and nutrients to the skin. Melatonin production peaks at around 2am, helping to protect the skin from free-radical damage. Cleanse Even if you’re not wearing make-up, getting rid of pollution, sweat and grime from the day is vital. Get oily Keep a face oil beside your bed and give yourself a five-minute massage. Sleep on your back It helps to prevent wrinkles! Sleeping on your side means that your face gets compressed into the pillows. Wear an eye mask I have been doing this for years. A mask supports the delicate skin around the eyes. It’s comforting and the darkness it creates tells our brain that it is time for our natural body clock to switch off. Avoid all screens The blue light given off by computers, phones and televisions sends signals to the brain that it’s time to wake up. Drink herbal tea Camomile has a calming effect on the central nervous system, while a tea blend with hops and valerian is perfect for telling the body it’s time to sleep. Have a bedtime snack Brazil and walnuts contain protein, potassium and selenium, and help boost production of the sleep hormone melatonin. By making subtle changes to your diet you can do a huge amount to manage acne. There is evidence to suggest that ingesting just 100g of sugar can reduce your immune system’s ability to function by as much as 50 per cent for up to five hours. Sugary foods reduce your body’s ability to fight off infection, thereby increasing the risk of inflammation and acne. A healthy immune system can heal a spot in five to seven days. An immune system weakened by sugar won’t be able to combat the inflammation in underlying spots, meaning they may ripen for ten days to two weeks. Refined carbohydrates can cause a surge in the production of insulin, which in turn may lead to an excess of androgens that stimulate the sebaceous glands. Try to limit your intake of sweet and starchy foods such as rice, pasta, bread, cereals, fruit and fruit juices, milk and milk products. Meat contains hormones and hormone-like substances, which can affect the body’s balance internally. Alarmingly, dermatologists have reported that women who regularly eat red meat are more likely to suffer from acne and hirsutism. Essential fatty acids Eating more foods that contain EFAs can help regulate the hormonal imbalance that leads to acne (people with acne often have deficiencies of EFAs). Good sources include flaxseed, hempseed, walnuts, dark green vegetables, pumpkin seeds, salmon, mackerel, sardines, anchovies, herring and tuna. Clever cleansing Choose a cleanser containing a combination of anti-inflammatory, antibacterial, antioxidant and hydrating ingredients. Green tea, tea tree, retinoids, azelaic acid, alpha hydroxy acid (AHA) and beta hydroxy acid (BHA) will also exfoliate the skin and prevent sebum building up. I like to have another more gentle cleanser to use on days when I feel my regular cleanser is a little too much. And please don’t pick your spots. Natural skincare Your products may be aggravating your condition, so try a product detox or natural approach. Lavender, rosemary, tea tree, frankincense and camomile aromatherapy oils reduce inflammation and have antibacterial benefits. Mineral make-up I know you want to cover up, but too many synthetics may clog the pores further, so look for mineral make-up. Remember to regularly wash your brushes. Facial oils Use a tiny amount of oil at night – your skin still needs oils to be healthy and balance itself. Gluten is the general name for the proteins found in wheat, barley and rye and has been linked to break-outs, patchy areas that look like hives, itchy rashes, bloating and puffiness. If you’re concerned, make an appointment with your GP and start steering clear of bread, pasta biscuits, cake, crackers, couscous and pizza. Ditch the dairy. Cow’s milk contains enzymes that can be difficult to digest and is best avoided if you suffer from acne and dry skin conditions. There are many tasty alternatives, from almond and hazelnut to rice and coconut milk. If you’re not sure if you’re reacting to gluten, dairy or something else, the easiest way to find out is to follow an elimination diet. Remove one item at a time over the course of a month, then eat it again in a fairly high concentration. If your symptoms return within 72 hours, it’s likely you’re intolerant. Don’t drink alcohol every day. We’ve all had a hangover and seen how grey and dehydrated our skin looks. Alcohol is not only a sugar but also interferes with sleep and has a hugely dehydrating effect on skin. So, yes, enjoy a glass of wine, but adding to the liver’s toxic load is clearly not conducive to achieving a youthful complexion. Think about having four alcohol-free days a week and, if you know it’s a key skin irritant, consider removing it from your diet completely. Cut down on caffeine. Like alcohol, caffeine is broken down by enzymes in the liver. We all have different amounts of these enzymes, so some people can’t tolerate caffeine, while others thrive on it. Caffeine is a stimulant and can put added pressure on the adrenals and use up vital skin-boosting nutrients, so swap your cup of coffee for a green tea or redbush. Adding superfoods to our diet – in smoothies, cereals or baking – is an easy way of making sure my family and I are getting enough nutrients. My children are blissfully unaware that the cool-looking green powder I use is so amazing for their health. Flaxseed and chia both contain omega 3 fatty acids, which help plump up the skin and reduce redness and inflammation. Acai A berry that originates from Brazil and is well known for its potent antioxidant properties, acai is perfect for skincare programmes as it supports overall skin health and boosts collagen production. Spirulina is a blue-green microscopic plant that has been around for billions of years and contains a high vegan protein count. Protein is the building block of healthy skin’s ability to regenerate. Matcha is sky-high in antioxidants and contains huge concentrations of vitamins and minerals. Chlorella is a microalgae that contains a high concentration of chlorophyll. 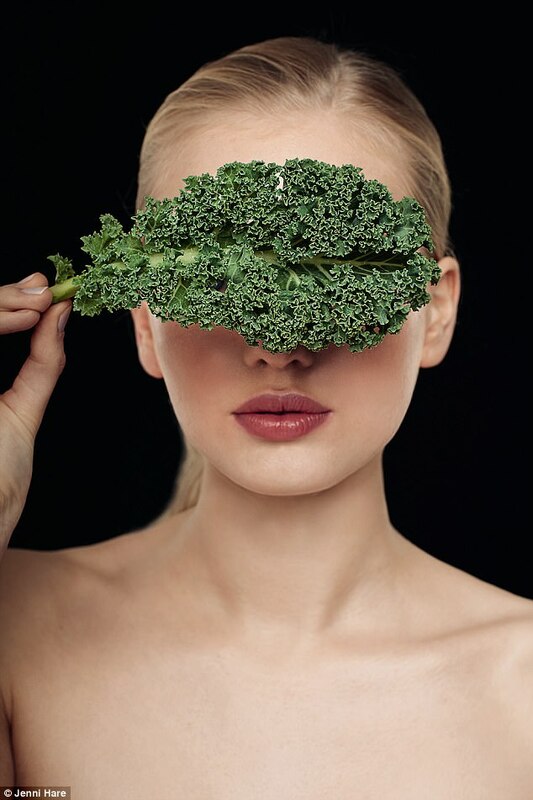 It is also high in zinc and vitamin B2, which help to promote clear skin, as well as assisting detoxification. A body with a lower toxic load is a body with fewer skin issues. Baobab Fruit from the baobab tree often comes in powdered form and contains more vitamin C than oranges, plus minerals such as calcium, potassium and magnesium, which are great for supporting collagen production and alkalising the body. Aduna Super-Cacao is one of those ‘wow’ ingredients as it contains key nutrients that support the whole body. It protects, repairs and prevents cell damage. It also increases blood flow, maximising the level of nourishing nutrients received by the skin to ensure that your complexion glows.